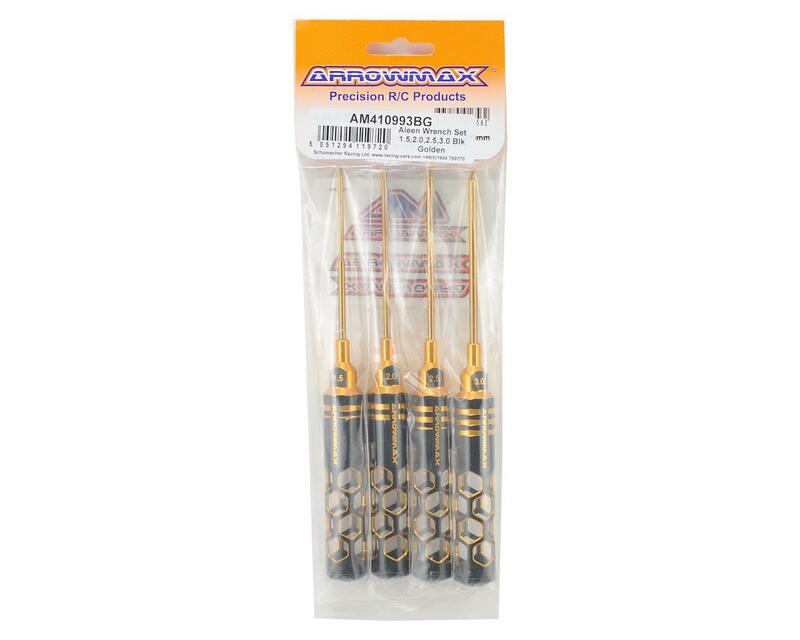 This is the Arrowmax Limited Edition Metric Allen Wrench Set including a 1.5mm, 2.0mm, 2.5mm and 3.0mm. 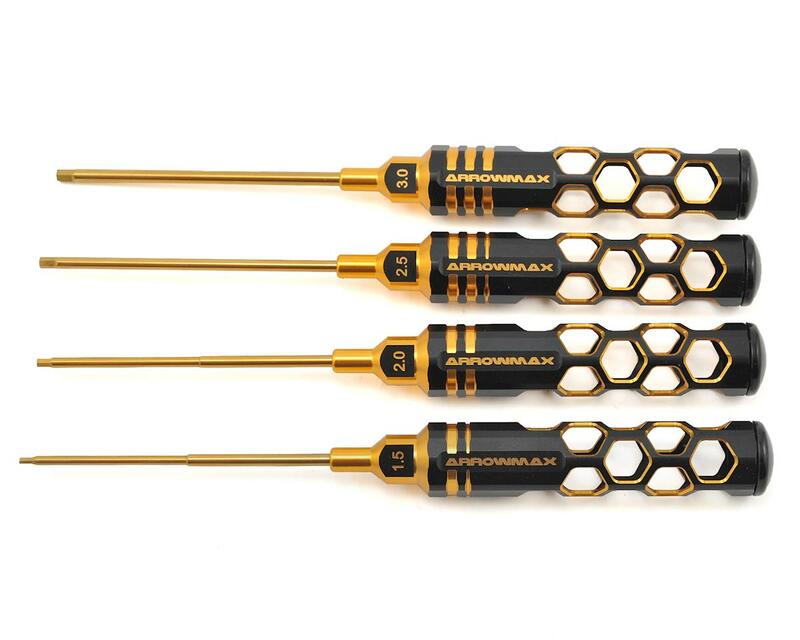 These tools feature an eye-catching hollow honeycomb handle design with a rich black and gold color finish. Spring steel titanium nitride tips and a bottom cover provide a more comfortable, controllable and lighter feeling.